Effective for trearment of gasstritis,gastric ulcers and dyspepsia. Prevents free-radical damage,support cell growth and metabolism and maintain proper balance of bacteria in the stomach. Enhances the stomach's mucosal defenses,providing significant improvements in gastric ulcer. Prevents inflammation-induced DNA damage in gastric epithelial cells. Treats gastro esophageal reflux,gastritis,peptic ulcer,stress ulcer and dyspepsia effectively. 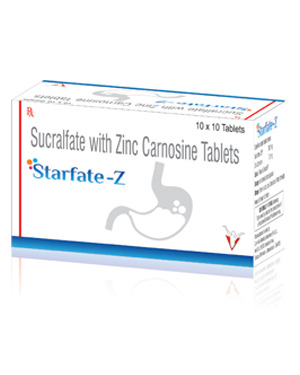 Reduces the recurrence rate of gastric ulcer in maintenance therapy. Strengthens the stomach's mucosal defenses and accelerates mucosal healing. Improves symptoms of chronic venous stasis ulcers.